Argentina does not allow sightseeing helicopter flights over its portion of the falls due to environmental concerns. Spanish conquistadors were the first Europeans to see the falls in 1541. One of the falls on the Argentine side is named for the leader of the expedition, Alvar Nunez Cabeza de Vaca. In the Iguassu Falls rainforest are two significant archeological sites from the original inhabitants, the Caingangues Indians. Iguassu Falls is located on the border between Brazil (the State of Parana) and Argentina (the Province of Misiones). 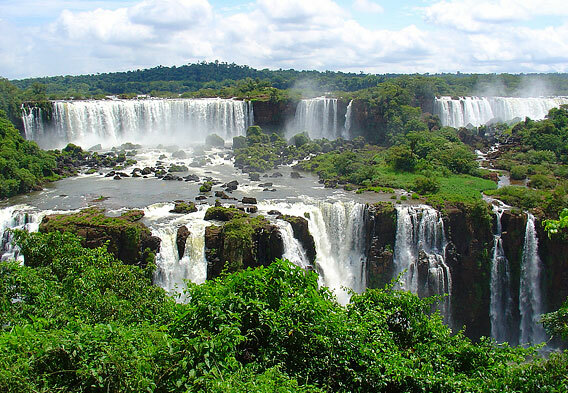 It is also called variously Iguazu Falls and Iguacu Falls. It is formed by the Iguazu River, which runs through Brazil for most of its course and marks the border between the two countries in this area. The river cascades down sheer cliffs of up to more than 240 feet. There are several cascades and cataracts, including the largest semi-circular Devil’s Throat. The combined cataracts and cascades are more than two miles wide. To visit the falls, you can arrive from the Argentine city of Puerto Iguazu or the Brazilian city of Foz do Iguacu, which both have international airports. Most visitors come from the Argentine side because the visa situation is less complicated and there are more hotels on the Argentine side. It is possible to sit on the lawn of a hotel hundreds of yards away from the falls and still see and feel its mist, and the sound of the falls is a constant thunder. Itaipu Dam is one of the world’s largest hydroelectric facilities, in league with the massive Three Gorges Dam in China. 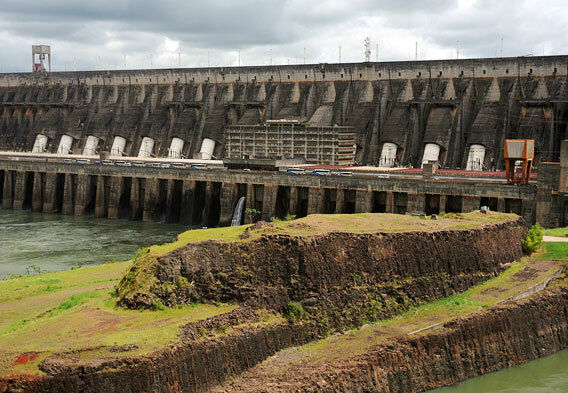 It is a project operated both by the countries of Paraguay and Brazil, and it lies on the border of the two countries, damming the Parana River. Iguazu National Park, Argentina and Iguacu National Park on the Brazil side are together a UNESCO World Heritage Site that includes the waterfalls itself and the subtropical rainforest surrounding the river. In the forest are more than 2,000 species of plants and exotic wildlife, including coati, howler and capuchin monkeys, ocelots and jaguars, tapirs, giant anteaters, and a wide variety of colorful tropical birds including the toucans, parrots, and macaws. Just over 400 miles to the east of Iguassu Falls is Curitiba, capital of the state of Parana. 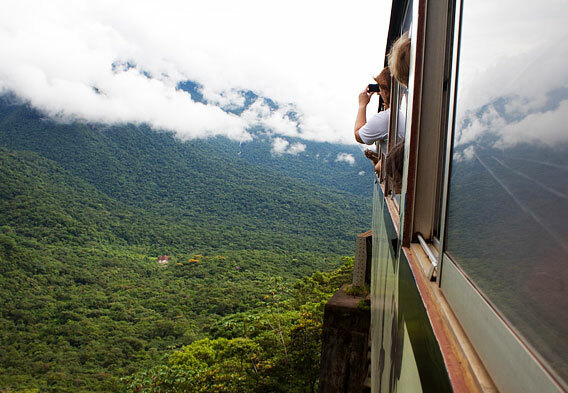 One of the country’s most popular tourist attractions begins in this city—it is the train ride on the Serra Verde Express from Curitiba to Paranagua, a route that travels another 62 miles further east to the Atlantic Ocean coast. It is one of the most breathtakingly scenic train routes anywhere in the world, and is an engineering marvel. It snakes its way through mountains and rainforests, hugging sheer cliffs and crossing gorges at dizzying heights. Equally as remarkable is the fact that the rail line was laid over a course of only five years in the 1880s. A valuable tip is to sit on the left side of the train to catch some of the scenery and sites at their best.